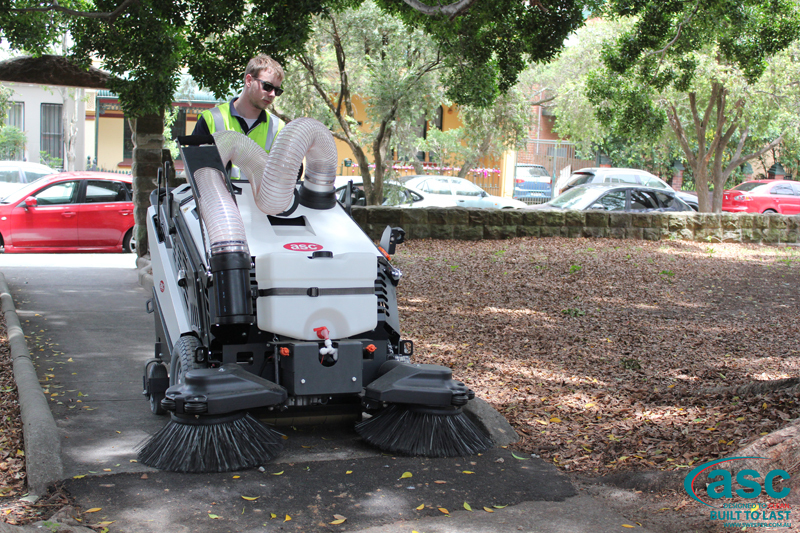 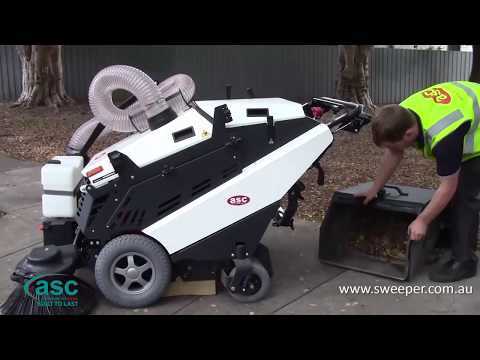 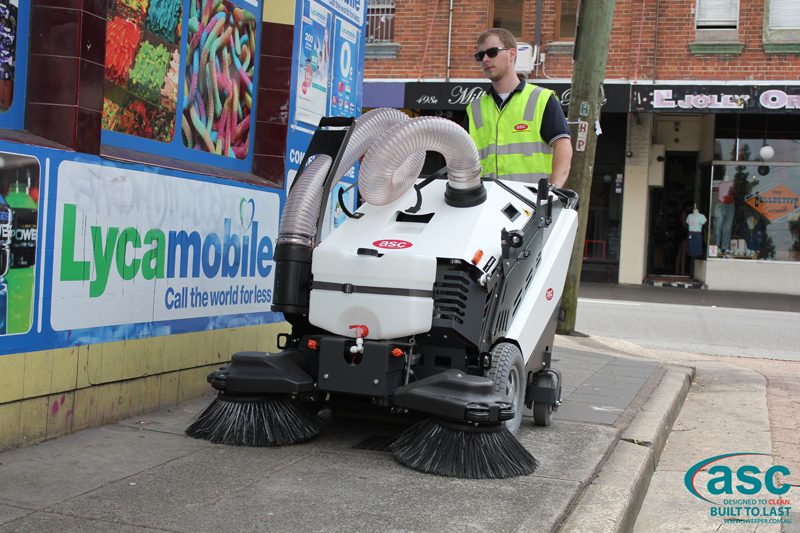 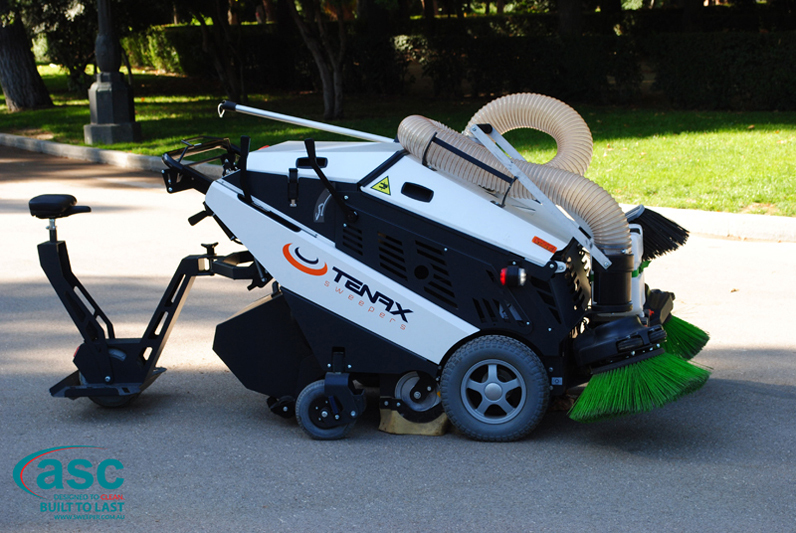 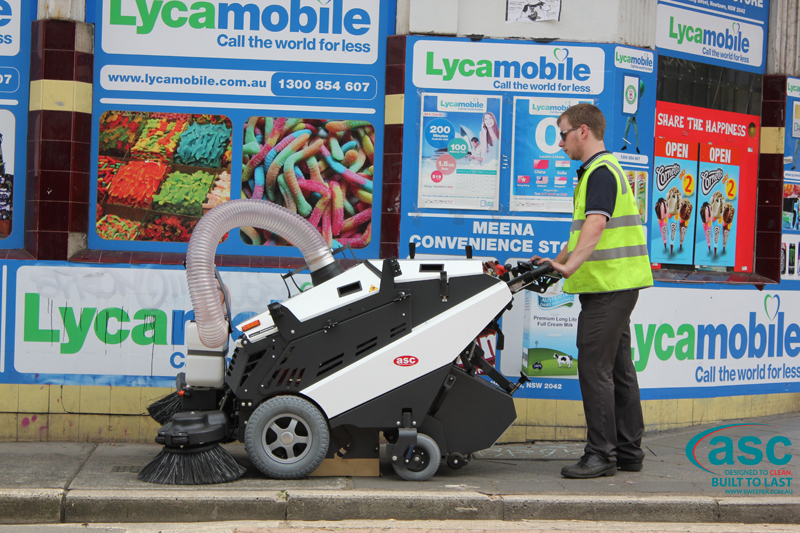 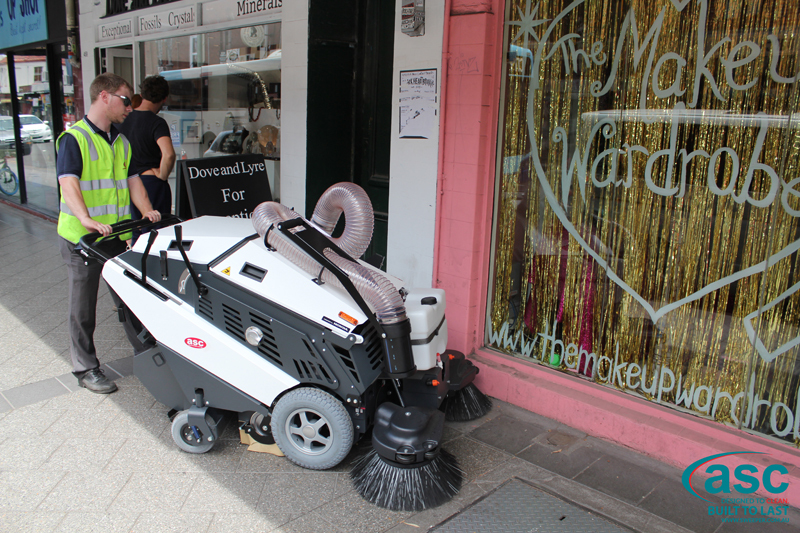 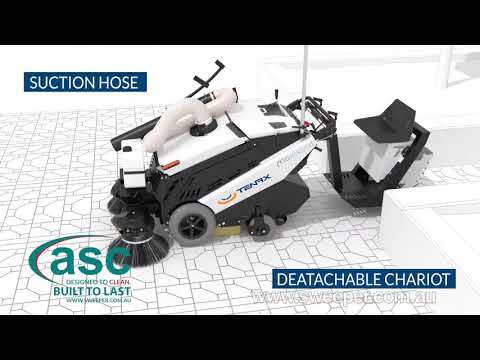 A True Footpath Sweeper Designed For Tough Cleaning Jobs. 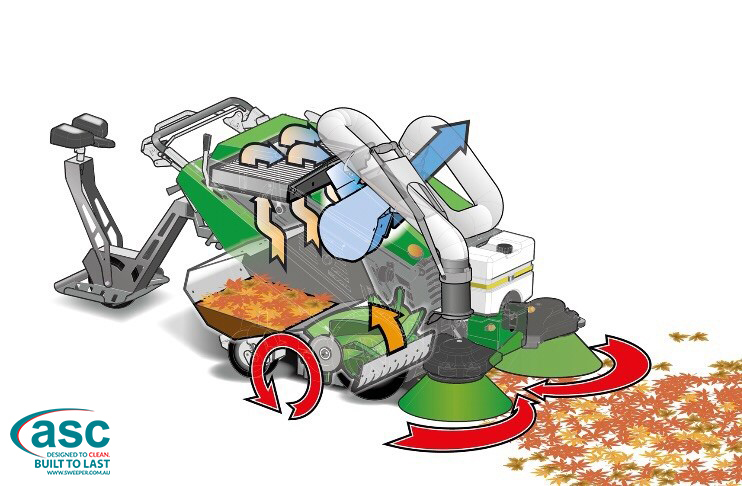 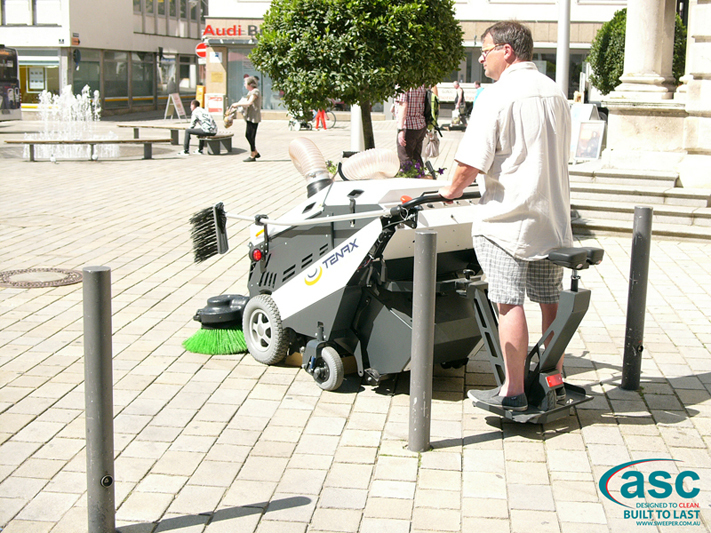 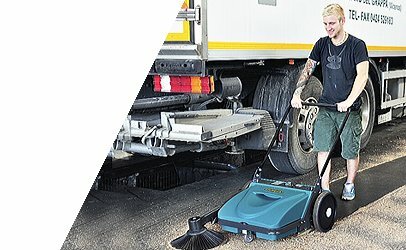 The ASC 125 is the world’s cleanest battery or petrol sidewalk sweeper designed specifically for outdoor area sweeping. 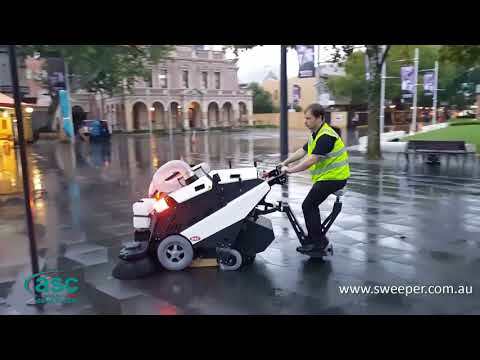 It is also relatively inexpensive and can be configured as a ride on sweeper or a compact walk behind. 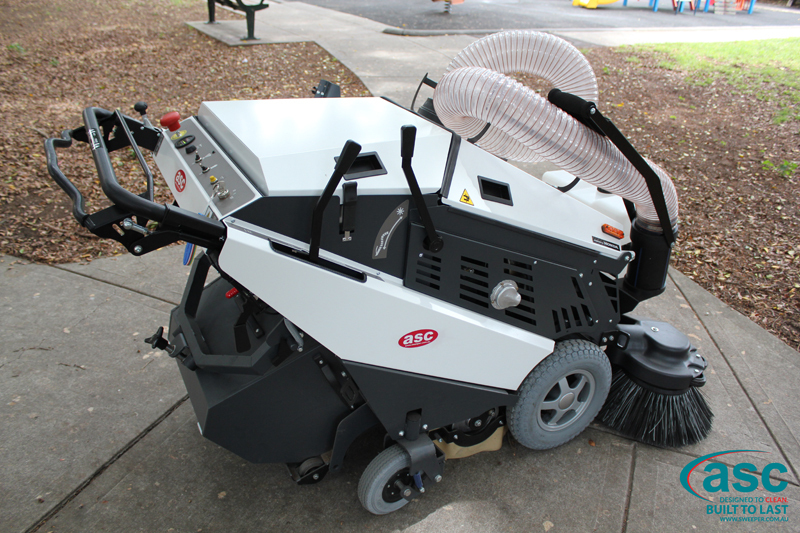 The ASC 125 can be used unrestricted and driven without a licence and is available for purchase or hire. 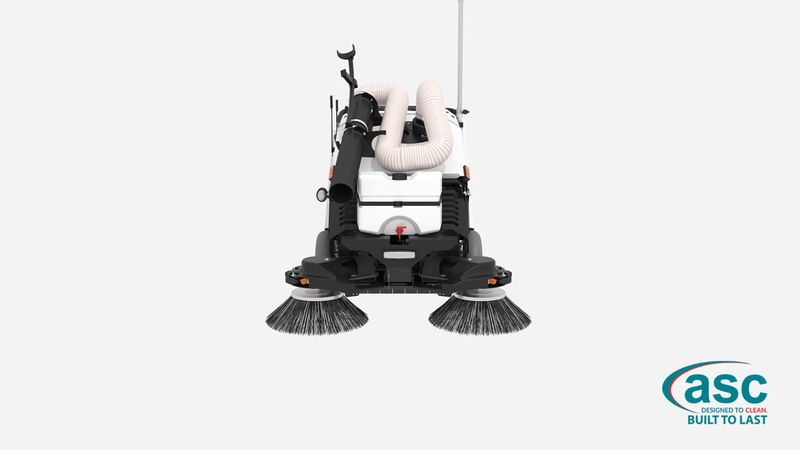 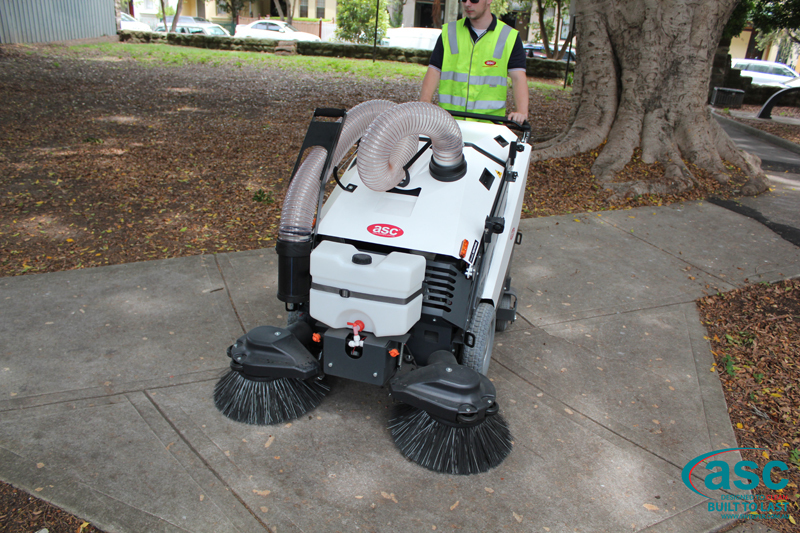 The machine runs a proven mechanical suction and dust filtering system and is able to sweep at high speed. 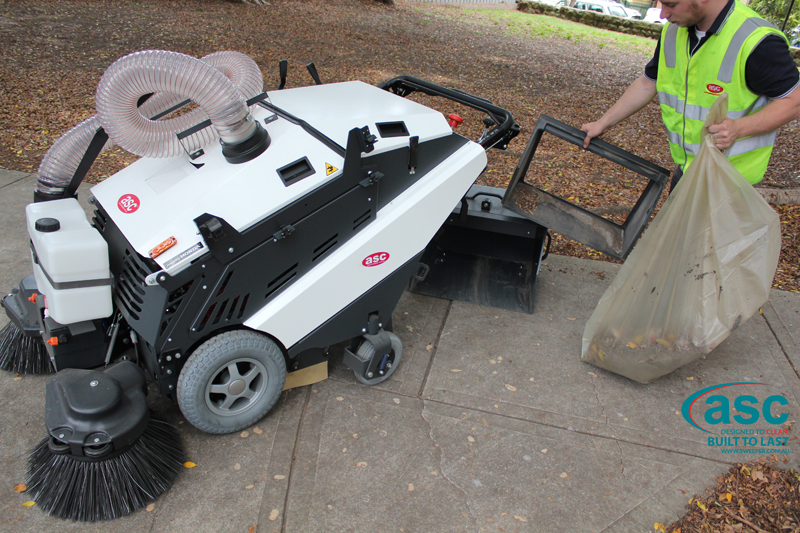 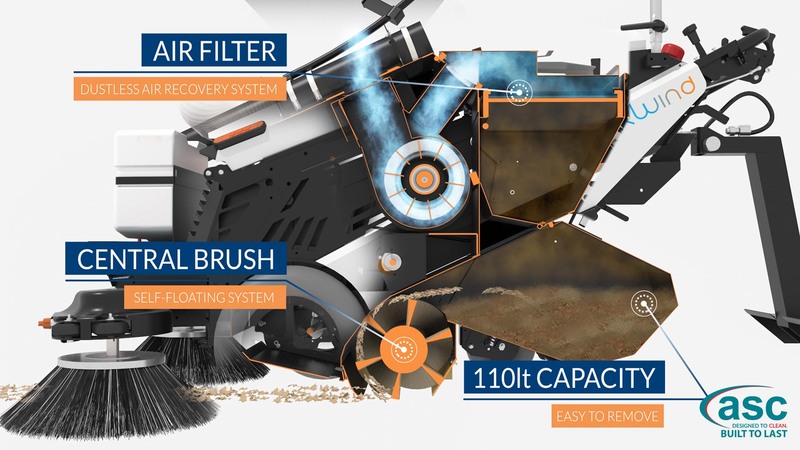 It picks up light and heavy debris such as leaves, glass, cigarette butts, paper, cans, fine dust and sand. 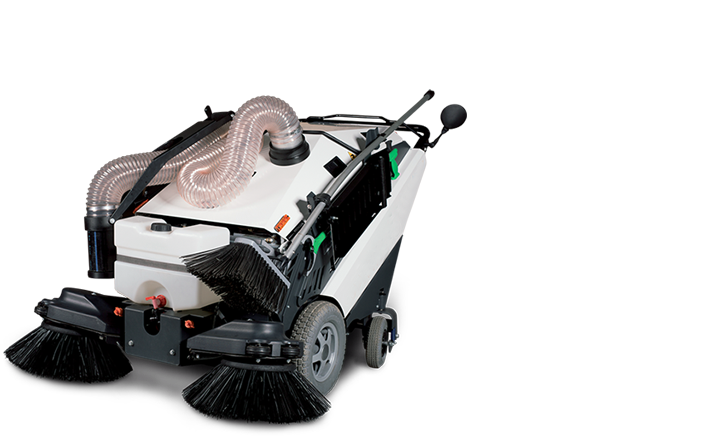 The machine can be also be used in dusty applications, as it has an inbuilt dust filtration system designed to meet PM 10 regulations. 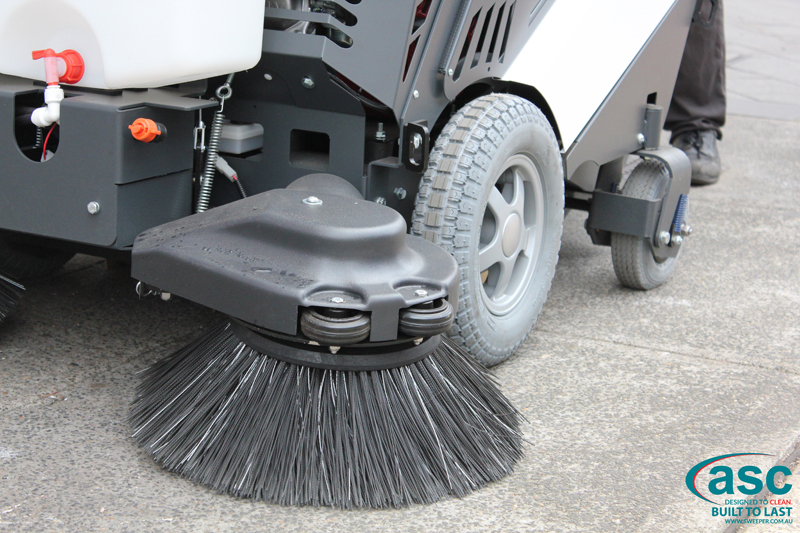 It also has water sprays to suppress side broom dust. 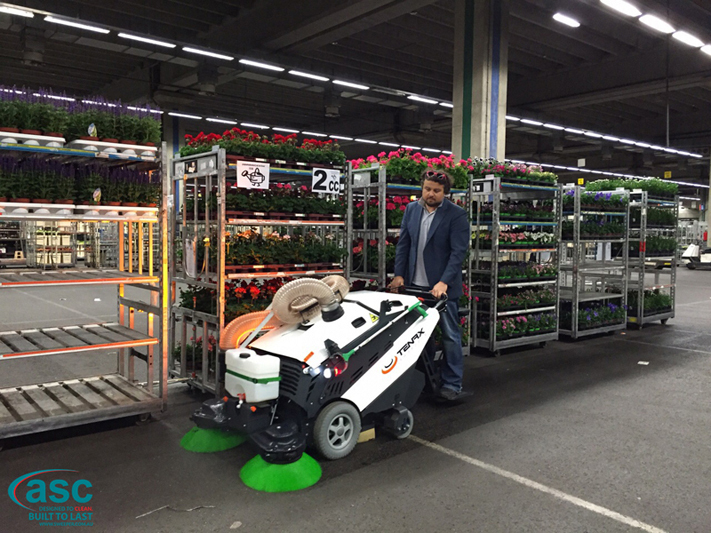 The ASC Model 125 comes in 2 versions: electric (EH) for a run time of 5 hours or a Honda Petrol version (SH) for non stop continual use. 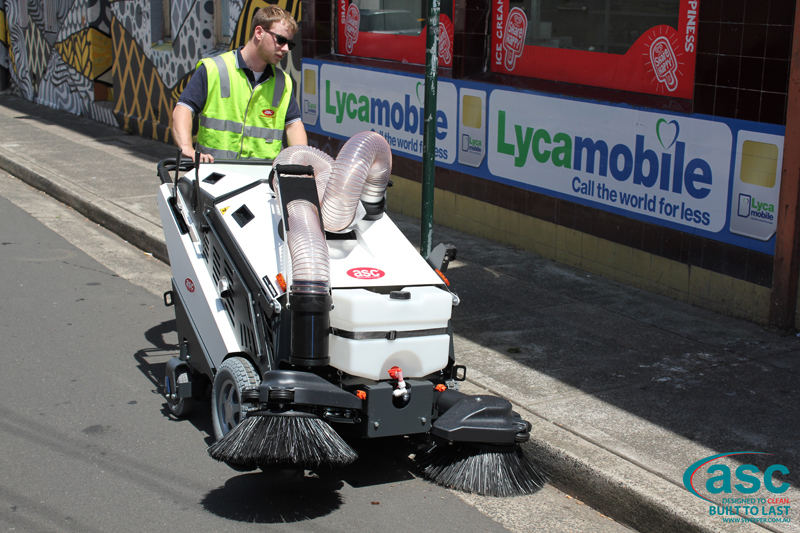 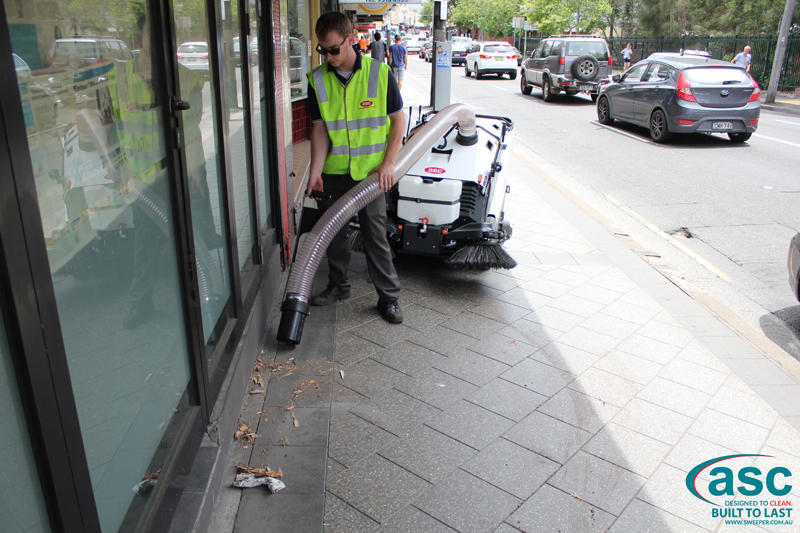 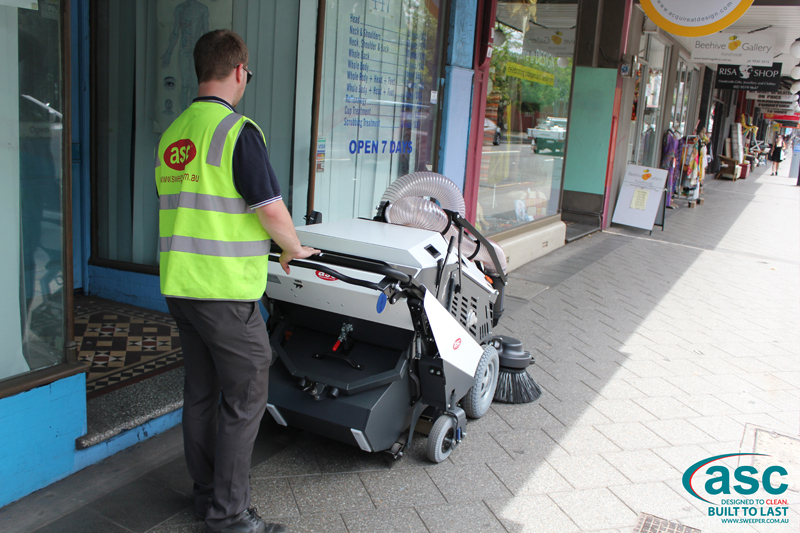 The machine has a large 80 litre hopper and 2 large oversized front wheels and rear castors designed to climb footpaths easily with operator comfort in mind. 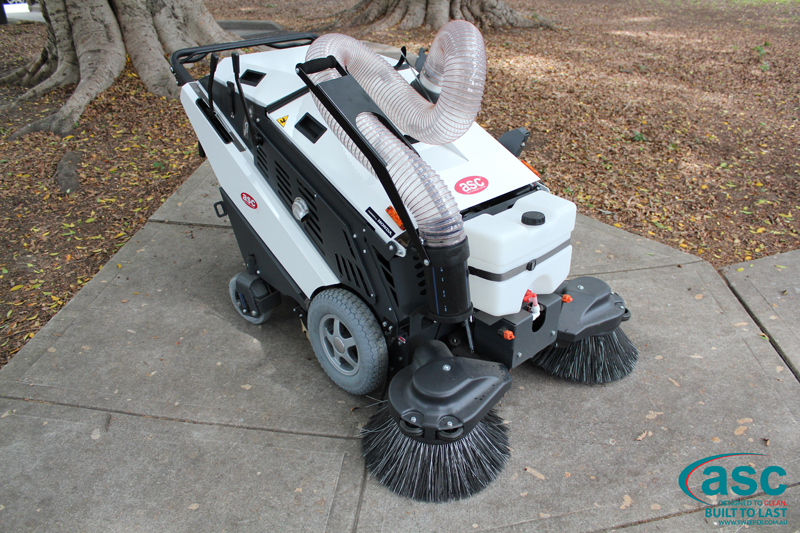 The machine also has a standard suction hose to reach hard-to-access areas. 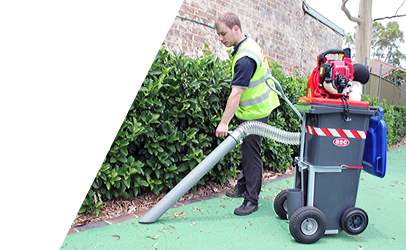 The Battery EH can be used by councils and other users at any time of the day or night due to its whisper quiet operation. 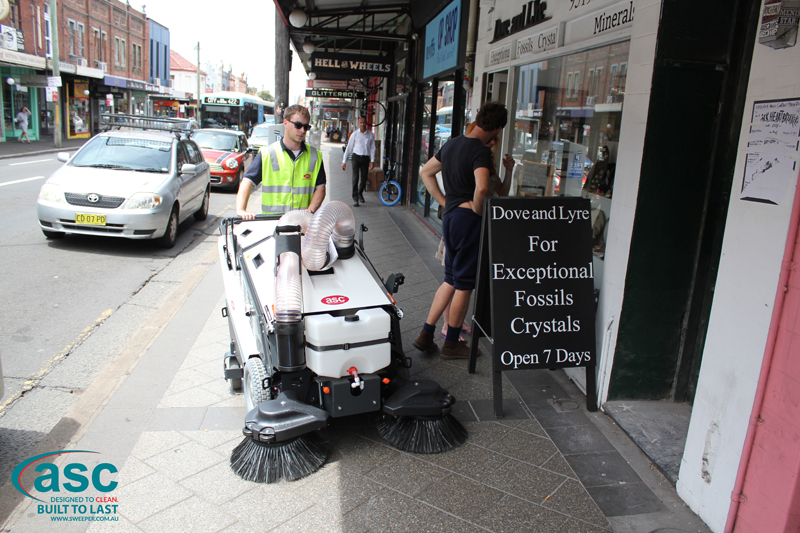 The undeniable advantage here is that it allows councils to sweep during the day while pedestrian traffic is on the footpaths. 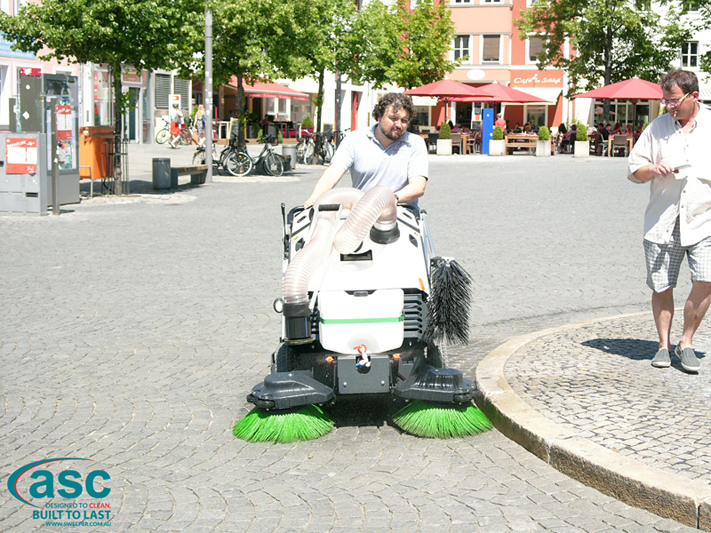 It also allows school staff to clean sweep while class is in progress without disturbing students and teachers. 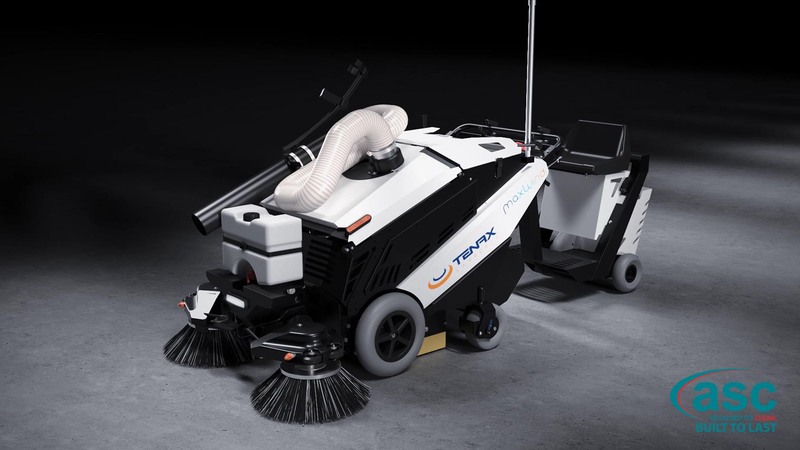 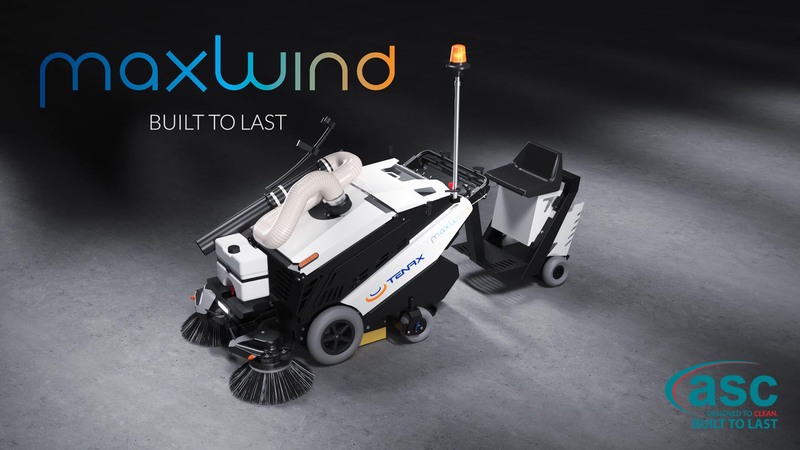 This not only saves time and money but also utilises labour much more efficiently because the task of cleaning can continue without forced interruption. 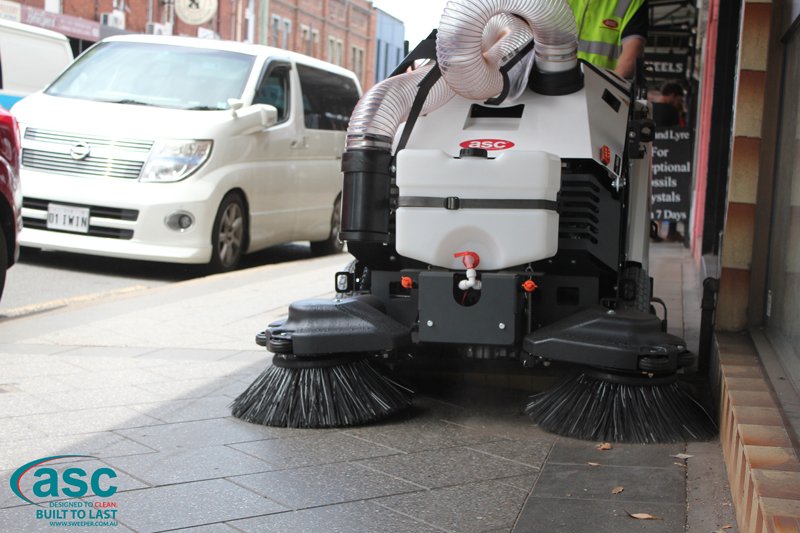 Indoor and outdoor carparks, councils, hospitals, RSL and league clubs, learning institutions, contractors, shopping centres, airports, mining sites and sporting arenas. 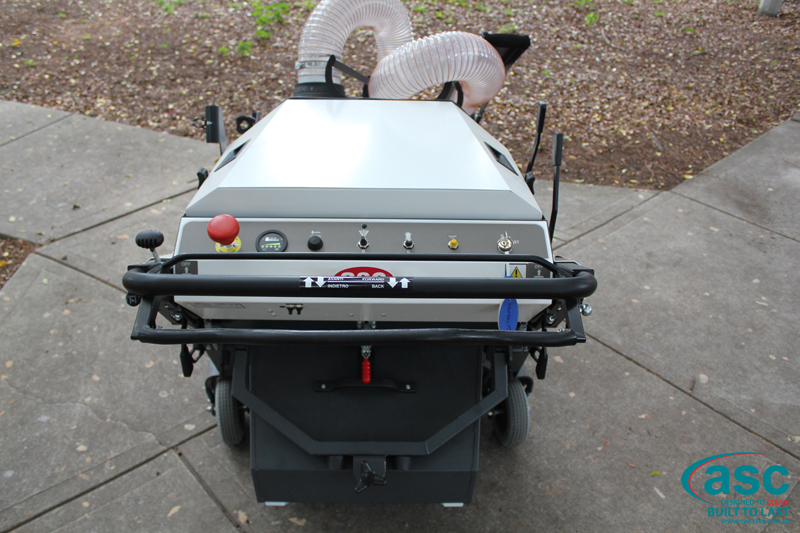 The following machine overview is demonstrated in videos . 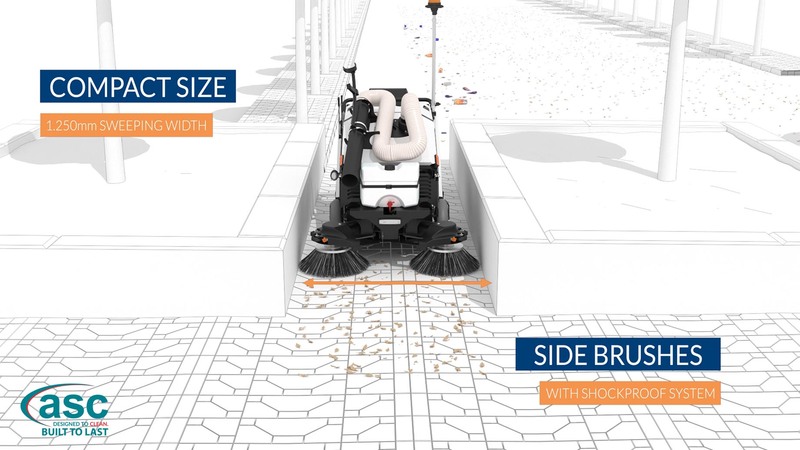 At any time this video may be paused, stopped, volume controlled and viewed in full screen mode - such features appear at the bottom of the video player. 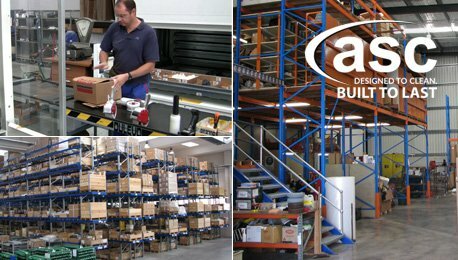 For help & technical issues please contact us by clicking here.